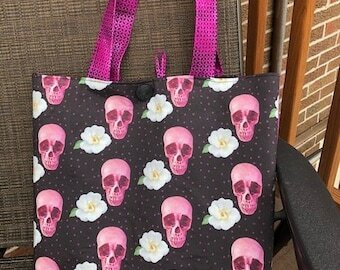 Julie's Creations - Handmade Bags and Accessories! Announcement Hello Everyone! I am running a sale...30% off on selected items! If you have any questions, feel free to contact me, and thanks for stopping by! Hello Everyone! I am running a sale...30% off on selected items! This is very fun fabric and is well made. It arrived very quickly and is a great addition to my purse! This item arrived on time and is perfect for storing small items in my purse that kept getting lost! Beautiful purse! . . .
All handbags are designed/handmade by me! My shop is full of handbags all handmade by me, including tote-bags, cross-body bags, drawstring bags, market bags, zippered pouches, cosmetic bags, and coin purses! All of my bags are unique. 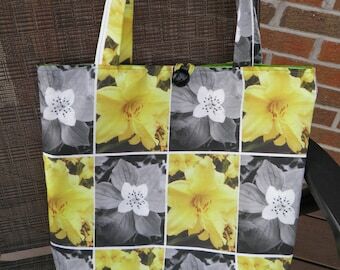 You will find a big variety of different colors and patterns, and several bags are made from patterns designed by me! All products can be refunded or exchanged 30 days after the purchase was made. If there is any issues with the product you have purchased, please contact me. My goal is to satisfy and make all of my customers happy! credit card and pay pal. I plan to ship a product out 1-3 business days once I receive an order. Any other questions about the payment or exchange policies, feel free to conact me.